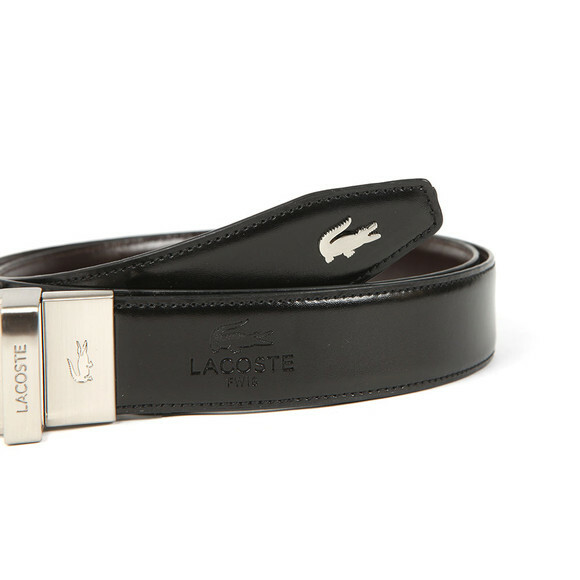 Lacoste RC162 Belt in Black/Brown. 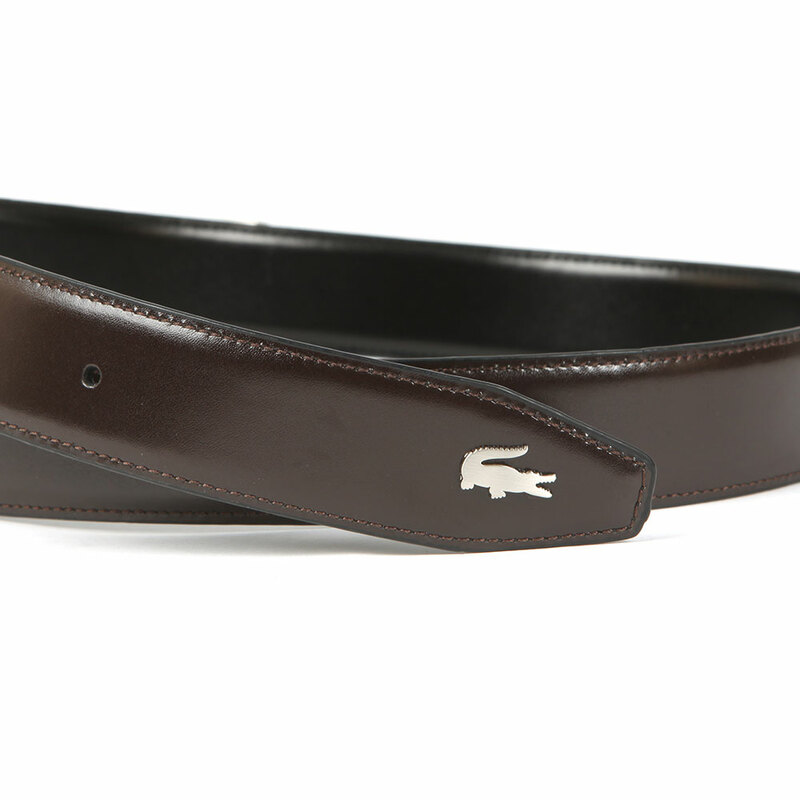 A smart leather belt with embossed branding near the buckle and a metal Lacoste crocodile badge at the end. 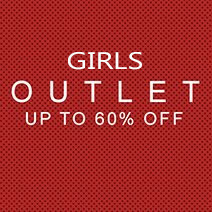 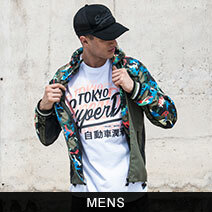 The buckle is reversible and has embossed branding.